In any case, now that I have a few minutes before sleep completely overtakes me I can blog a hearty happy birthday message to the late, great Polish filmmaker Krzysztof Kieslowski. He would have been 70 years-old today and not only did he make some of my favorite films of all time, but his unique visual style and beautifully-interwoven storytelling techniques have informed everything I’ve written or wanted to write since I first saw his film “The Double Life of Veronique” way back in the early 1990’s. Simply put, the man was a genius who died way before his time…makes me wonder if he had kids that kept him up all night too? Ha! 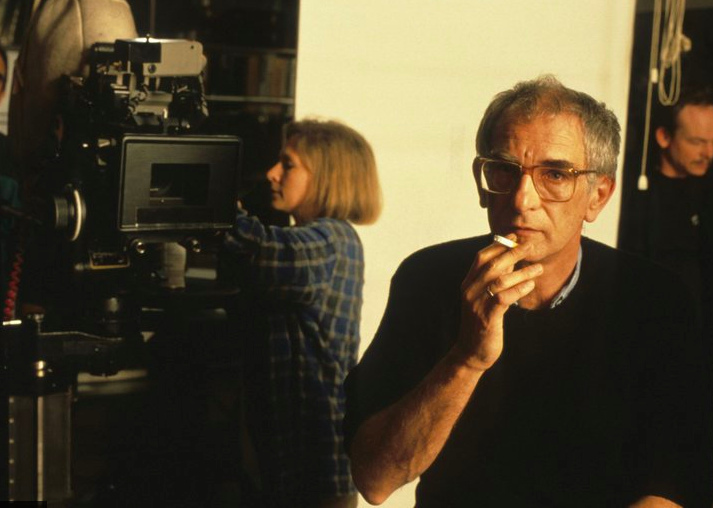 Either way, Kieslowski completed at least two other masterworks before his death in 1996, the groundbreaking “Three Colors Trilogy: Blue, White, Red” and his indelible, early-career masterpiece, the ten-hour TV miniseries,“The Decalouge”. If you haven’t seen any of his work yet, today is a great day to start. Celebrate the mad genius tonight by watching one (or if you have time, all) of his films…you will not be disappointed. Seriously, there was no one like him. Oh yeah, on their Facebook page today, the cool cats at the Criterion Collection posed an interesting question by basically asking which title fans preferred: “The Three Colors Trilogy” or “The Decaloque”? Makes you wonder if their cooking up a cool Criterion reissue or two, huh? I couldn’t chose, but if I had to, I’d probably vote for “Decalogue” just because it has the least cool of the versions already on DVD. But, wow, the thought of them both coming out again via Criterion is kind of badass too. I can just imagine the cool box art…wow!